We are absolutely over the moon to have been awarded a Danny Kyle Award at Celtic Connections 2019. What an honour. Thank you very much! The first half of the Edinburgh Fringe festival saw Dowally perform twice, in two quite different settings. The first gig was at the awe-inspiring ‘Pianodrome’, located in the Royal Botanical Gardens. This amphitheatre is the first in the world to be created from 60 upcycled pianos. There is nowhere else like it - it’s really a sight to behold (and the acoustics are brilliant!). Thanks to S!nk for having us at this gig. Our second Fringe gig was in the delightful Argyle Cellar Bar. 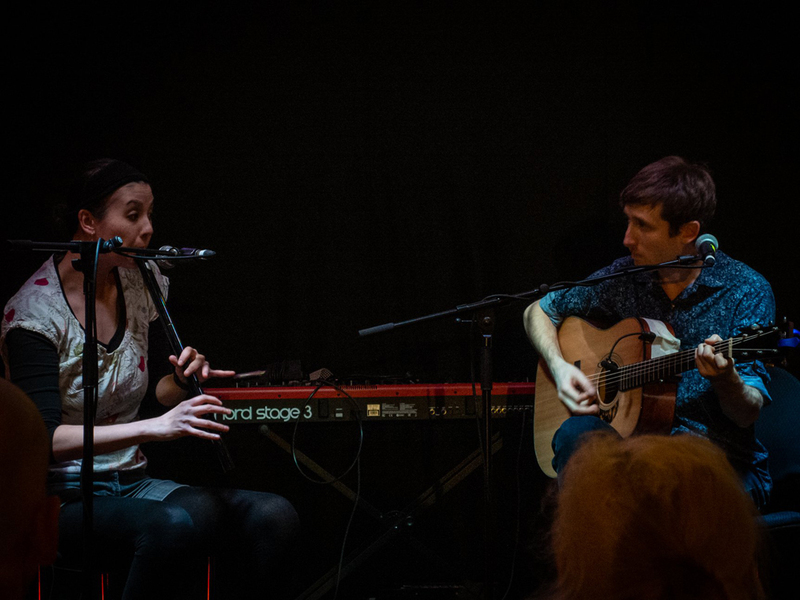 We played acoustic to a lovely audience, preceded by a performance from the Oxford-based experimental duo ‘Limpet Space Race’. The traditional Dowally raffle took place with gusto at half-time. Come along next time - you have to be in it to win it, innit! 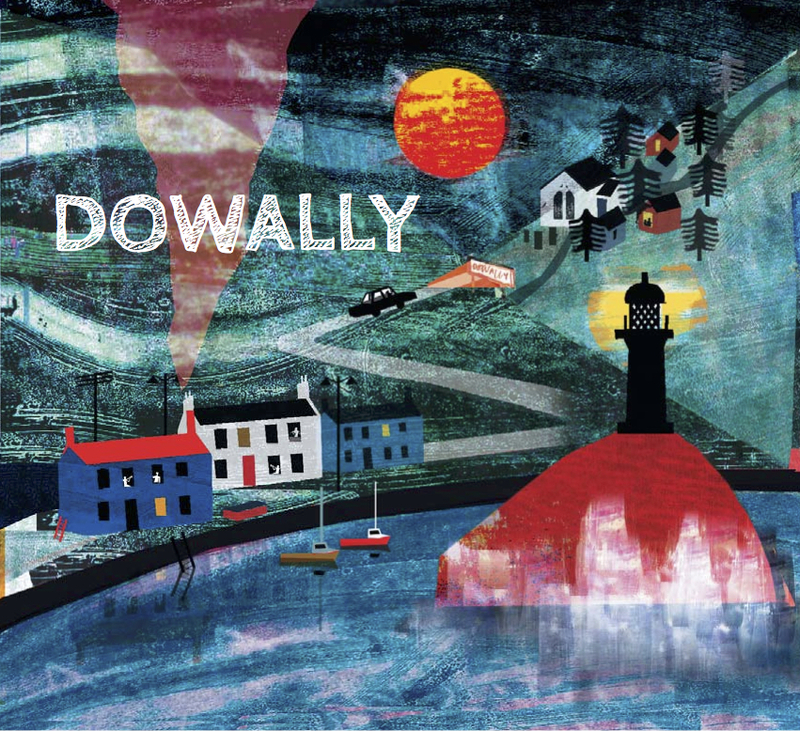 Dowally’s highly anticipated second album is a culmination of much more jamming, writing and development as a band. Here, 8 out of 10 of the tracks are original compositions and 2 are (perhaps surprising) arranged covers. The album has been described as “a teeming mass of musical ideas and cultural exchanges” (Living Tradition) and “rather splendid” (The Herald, Highlights of the Week). Several reviewers described enjoying the record for its unpredictable twists, turns and “emotional intensity” (Northern Sky Magazine). Indeed, Northern Sky commented - “This is music that goes where it needs to, finding its own way and confounding expectations”. Want to know where we're playing next? Click on any of these gigs to get more details of where we're going to be in the near future. Check back often because we're always adding new shows! You can use this handy little player to have a listen to our new album, 'Somewhere'. Head over to our Music page to hear tunes from both of our albums, or go to our Video page to see us in action! If you want to book us for a gig, ask us a question or make contact with us for any reason at all, just fill out this wee form, or email us at dowallymusic@gmail dot com from your own email.